Apple has just released, and made available for download, iOS 9.3.2 beta 4, OS X 10.11.5 beta 4, and tvOS 9.2.1 beta 4 to registered developers of Apple Developer Program. These new beta seeds come exactly a week after Apple seeded beta 3 builds for the said platforms. The first three betas of iOS 9.3.2 didn’t pack any obvious outwardly changes and this doesn’t appear to have changed with the fourth pre-release as well. That said, it is likely that this particular release packs even more bug fixes and performance improvements for compatible iPhone, iPad and iPod touch devices. We’ll keep you updated with any additional changes in this latest beta release, if and when, we come across any. iOS 9.3.2 beta 4 update can be downloaded using the usual over-the-air update mechanism. If you are running any previous beta of iOS 9.3.2, simply launch the Settings.app and navigate to General > Software Update. iOS 9.3.2 beta 4 should then immediately show up as an available update waiting to be downloaded and installed. Alternatively, you can download the iOS 9.3.2 beta 4 IPSW file directly from developer.apple.com and restore your device to it using iTunes. Whatever problems users have been facing with the release of OS X 10.11.4, it looks like Apple is trying to address them with these pre-release builds of OS X 10.11.5. Apple has strictly kept its focus on improving security and increasing performance of its desktop platform with OS X 10.11.5, along with the usual bug fixes. Beta 4 of OS X 10.11.5 continues with that philosophy with no apparent changes visible outright. This update can be grabbed right now from the Mac App Store. If you aren’t running any previous beta of OS X 10.11.5, you can initiate the download from developer.apple.com. Unsurprisingly, the latest beta 4 seed of tvOS 9.2.1 firmware for Apple TV does not seem to come in with any apparent new features and outwardly changes. 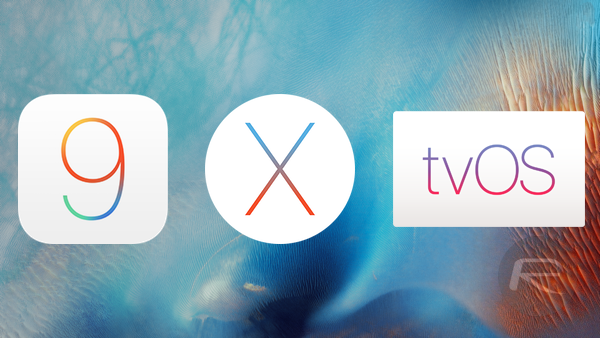 Like iOS 9.3.2 and OS X 10.11.5, the focus with tvOS 9.2.1 seems to be under-the-hood improvements for Apple TV 4. Download and installation details for tvOS 9.2.1 beta 4 can be found over at developer.apple.com. Update x1: iOS 9.3.2 beta 4 and OS X 10.11.5 beta 4 are now available to public beta testers as well. iOS 9.3.2 beta 4 has been released at the same time as the dev beta, yesterday.